DETROIT, Dec. 6, 2018 /PRNewswire/ -- From creating pollinator gardens for native bees and monarch butterflies to restoring hundreds of acres of land to its native state, the employees of DTE Energy are now recognized as national leaders in wildlife habitat and environmental protection. DTE Energy has earned the Wildlife Habitat Council's (WHC) 2018 Corporate Conservation Leadership Award. It is the highest recognition for overall excellence in corporate environmental stewardship. The award recognizes DTE's overall achievement in conservation efforts, exemplary corporate commitment to biodiversity and conservation education as well as meaningful alignments with global conservation objectives. DTE recently accepted the award at the WHC's 2018 Conservation Conference in Baltimore. DTE currently has 36-certified sites with many more programs planned for certification for the first time by 2020, including pollinator habitats, bald eagle nests and banding, and conservation projects with K-12 schools throughout Michigan. "DTE employees are national leaders in conservation and environmental protection," said Skiles Boyd, vice president, Environmental Management and Resources for DTE Energy. "These efforts were led by passionate employees who love our land, plants, animals, and volunteer their time to leave behind a better place." With 36 certified programs in 25 counties, DTE has more WHC certified programs than any other company in Michigan. DTE is helping the WHC expand its Michigan footprint by collaborating with wildlife habitat efforts in West Michigan communities, such as Muskegon and Grand Rapids, getting other businesses and organizations engaged. DTE ranks second nationally among energy companies in WHC certifications. In addition, DTE is the only company in the energy sector actively collaborating with the WHC to expand environmental stewardship initiatives with supply chain partners. Now celebrating its 30-year anniversary, the WHC's certification program is the only voluntary sustainability standard built on the best practices of global recognition programs. The program recognizes a company's efforts to use its land, resources and partnerships to help address pressing global biodiversity issues. DTE received its first WHC wildlife certification in 1996 at its Belle River Power Plant for a project that included collaborations with Pheasants Forever and the Cub Scouts to convert leased farmland into food plots for wildlife and building bluebird boxes. As a major land owner in Michigan with lots of shoreline property, DTE voluntarily maintains 8,000 acres of land in its natural state, providing habitat for hundreds of species of birds, mammals, fish and insects – some of which are threatened or endangered. Land at several company sites has been reclaimed for habitats featuring native Michigan plants, including those benefiting the monarch butterfly and other pollinating insects. Ending repetitive mowing improves air quality and makes financial sense, too. Mowed grassy areas burn money in upkeep. 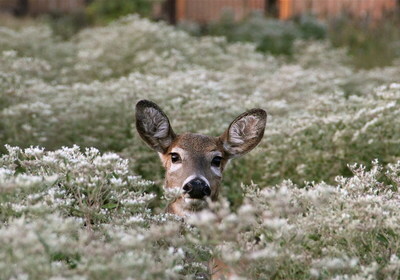 When reclaimed, native wildflowers and grasses require much less maintenance and provide food, shelter, and space for a variety of wildlife. 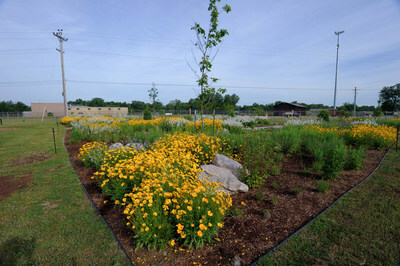 DTE's Michigan Avenue Service Center (Ypsilanti) and Traverse City Service Center were also finalists for the WHC Green Infrastructure Project Award. Wildlife Habitat Council partners with corporations, fellow conservation organizations, government agencies and community members to empower and recognize wildlife habitat and conservation education programs. Our members are environmental leaders at local, national and global levels, voluntarily managing their lands to support sustainable ecosystems and the communities that surround them. Since 1988, WHC has certified more than 1,000 habitat and education programs worldwide; WHC Conservation Certification programs can be found in 48 states and 25 countries. 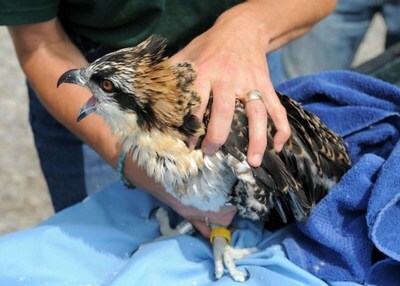 To learn more, visit www.wildlifehc.org or follow @WildlifeHC on Twitter.